Brilliant stories, from Australia’s past. Welcome to the new podcast reviewing tall tales and true from Australian History. The Australian Histories Podcast aims to shine a light on various episodes from Australian history, and to share with you, not just the usual well known elements of the stories, but hopefully, also to talk about some interesting and entertaining aspects, that will help us understand and enjoy these histories more. See the ABOUT tab for more information. My name is Jenny and I’m so happy you’ve visited this podcast site. If you enjoy thinking about our past, and pondering life from a bygone era as much as I do, I think you will really enjoy hearing the stories I’ll be presenting in this series. 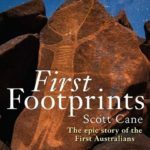 I just have a couple of background things to talk to you about in this brief introduction, and then we will jump right in to our first great Australian history! And there is a little bit more information about me, and my plans for the podcast, on the ABOUT tab if you’re interested. The podcast content will be presented as a series of themed stories rather than a straight forward chronological structure. I will be focusing on histories starting from around the time of the British colonization of Australia in the main, as I don’t feel qualified to illustrate stories related to the deep and culturally significant narratives of our First Australians. However, there are some links & references included below that might be helpful to those interested in Australia’s pre-colonial indigenous histories though. See the ABOUT tab for more information. Quite enough there to start us off then! The Australian Histories Podcast series will start on the theme of “Bushrangers”. More specifically we will be looking first, at the Story of Ned Kelly and the Kelly Gang, who were operating largely in Victoria in the 1870’s. It’s a cracking story, so an excellent place to get stuck in. This is a big story and I expect it will run to 15 or so episodes. Future stories should be much more concise! So… let’s make a start introducing our first History. Download Episode 2 – the Kelly Gang…. and off we go…. Previous PostComing soon – the inaugural Australian Histories Podcast episodes!